How fast is too fast? 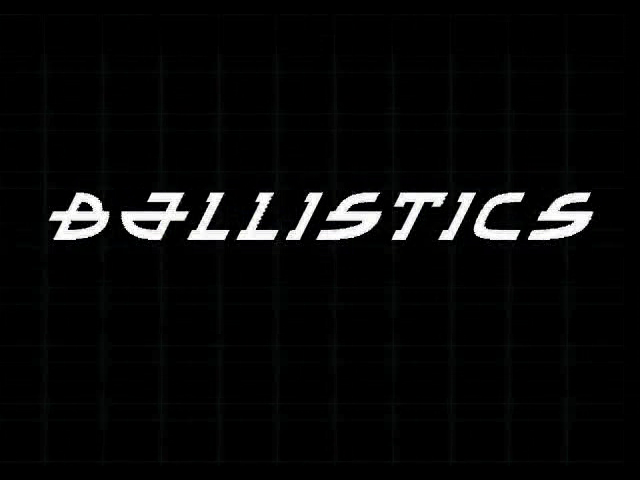 Ballistics, a dare disguised as a racing game, answers that question with a shrug and a headache. Developer Grin created the game as a flagship title for the then-top-of-the-line GeForce 3 graphics card, and its show-off-y origins explain its total lack of interest in anything but speed. That was the right call. Ballistics is the fastest game ever, full stop. It throws everything overboard to reach its kaleidoscopic absurdity, and despite – or because of – the game’s near incoherence, it demands to be experienced. As with many envisioned future-sports, the titular Ballistics league grew from some distorted version of Formula One. Ballistics races take place in looping cylinders rather than on roads; your primary challenge is to avoid obstacles and find the best angle on the curve of the racing tube. Racers gain high speeds by hitting boosters, which can be amplified with “super booster” power-ups. Accelerating for too long will overheat your vehicle, so strategic cooling pads are scattered throughout each course to discourage you from slowing down. A few other advanced maneuvers exist, most notably the ability to detach from the racing tube and pilot through the air manually. None of these in-depth racing strategies matter too much, because even without them, Ballistics is faster than imaginable. Many racing games go quickly – the F-Zero series is famous for this – but Ballistics moves at a nearly abstract speed. Once you use a booster, the game blasts into the neighborhood of 1000 miles per hour. You blow past the sound barrier, and the audio cuts out. The screen shakes violently as you careen past the scenery. The track flashes past your Speeder like a tunnel of strobe lights. Nothing else comes close to this thrill. The game plays like a joke about traveling thousands of miles per hour. As an experiment in finding the breaking point of high-speed racing, everyone needs to try it at least once. Ballistics flies by so fast that any obstacles in the way barely appear for long enough to react to. To see really anything, you need to keep your eyes trained directly on the center of the screen, looking for any wall or metal beam to dodge. God forbid you glance away for a moment towards the edge of the tube, especially when turning. Something physically uncomfortable happens while playing Ballistics; although I rarely experience motion sickness in games, I periodically needed to take breaks to rest my eyes and re-balance myself. Since every course has a fixed obstacle layout, any challenge reduces to learning them through trial and error. If you can manage that (or more usually if you get lucky), the game rewards you with the chance to combo off of boost pads and go somehow even faster, beyond anything resembling racing. Although that’s viciously fun, it betrays Ballistics’s minimal long-term appeal. With all the tracks memorized and triple-Mach speeds attained, you might not have reason to go back apart from the physical endurance challenge. You will want to go back for that. Those bursts of speed are sublime. Ballistics has significant problems – a superfluous upgrade system and multiplayer mode; unintuitive controls at higher difficulties; and, most damningly, a crash penalty that stops the game, draining its best asset – but those complaints barely matter. Its extreme speeds transcend criticism. It pushes and pushes how far a racing game can go, and the genre blinks first.